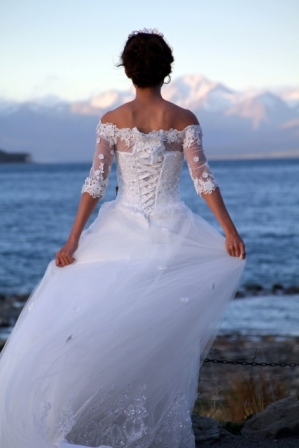 Tekapo wedding and eloping wedding’s New Zealand are a great way to celebrate your love and view amazing New Zealand scenery at the same time. With Tekapo and its aptly named lake always looking amazing, Tekapo offers the best in relaxing wedding ceremonies. This is because of the size of this small community and outstanding panoramic views. When you experience this area for your self you will swear you have stepped back in time. The Church of the Good Shepherd famously sits on the edge of Lake Tekapo. Photographers just love this cute little church. It really has captured the hearts of couples from all over the world. Tekapo is a top heli-wedding destination in New Zealand. This stunning little Church is only metres from the lake and very easy to get to. Being central to the main town it’s a great spot close to your hotel. It shows off a large courtyard and there is plenty of room for an intimate spot to get married. A fantastic lake filled with the crystal clear waters of a glacier meaning the colours and reflections are sometimes beyond reality. If you choose not to book a heli-wedding you can opt for a lake wedding using this very quaint and unique church. The mountains behind can still be used as a delightful frame for your wedding photos. We have many options for getting married in Tekapo. Our favourite is the use of a helicopter. There are many peaks around Tekapo that are perfect for heli-weddings. We work closely with a company that are very professional and take consideration of time needed for great photos. Imagine this… you have just got married with the most amazing ceremony personalised just for you. Next your helicopter arrives to fly you both to the top of a peak of the Southern Alps. Panoramic views that compliment your photos and video are enjoyed together with a bottle of champagne before being flown past more stunning scenery back to Tekapo for fine dining. We would love to create you a fabulous wedding day. 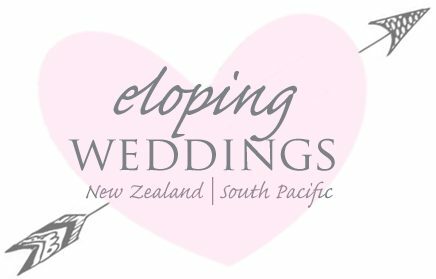 Contact us on love@elopingweddings.com for more information.